A local coffee shop that has been a focal point of anti-gentrification protests in Boyle Heights was vandalized over the Labor Day weekend, with the front window smashed for the second time since it opened a little over a year ago. Around 10 pm on Friday, an unknown person apparently threw a glass bottle of kombucha through the window at Weird Wave Coffee Shop, The Eater reported. A photo posted in the business’ Instagram account showed a big hole in the window, which was almost completely shattered. In the social media post, the owners said the business was open at the time. 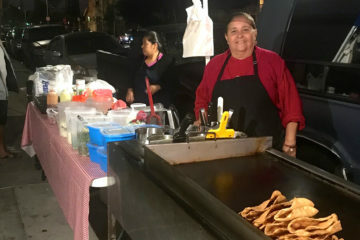 In May, Weird Wave added Pizza Jones, a thin-crust pizza restaurant, to the small shop on César Chávez Boulevard near Soto. No one has taken credit for breaking the window, but the act was cheered on social media by Defend Boyle Heights, one of the groups that protested Weird Wave’s opening in June of 2017 and continues to boycott the business. “We out here breaking the internet like anonymous militants be breaking Weird Waves’ windows LMFAO,” read a post on Defend Boyle Height’s Facebook page on Wednesday. In July of 2017, about a month after the opening, a person wearing a black mask used a slingshot to shoot an object at the shop’s logo that cracked its glass door. 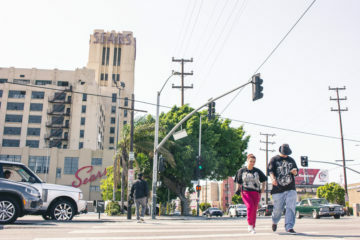 Anti-gentrification groups in Boyle Heights targeted Weird Wave, alleging that specialty coffee shops make neighborhoods more attractive to people with higher income. This, they say, pushes rent and property prices up and leads to the displacement of the neighborhood’s poorest residents. 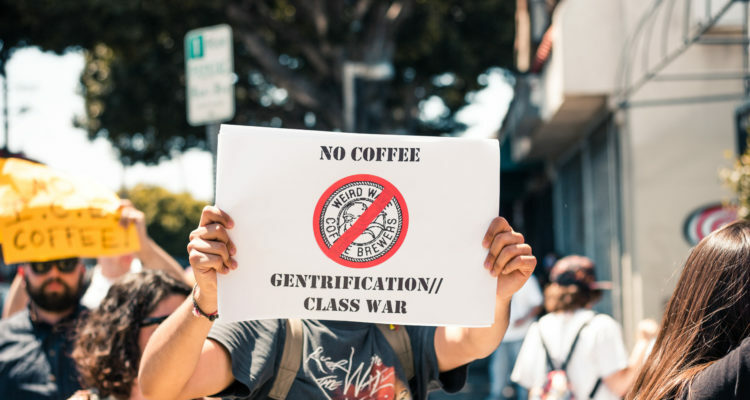 Last July, Defend Boyle Heights and other groups announced the boycott of a second coffee shop in the neighborhood. Asher Caffe was targeted, they said, because the restaurant’s owner had posted some pro-Trump, anti-immigrant comments on his social media. Photo above: Protester in front of Weird Wave Coffee Brewers in June of 2017. 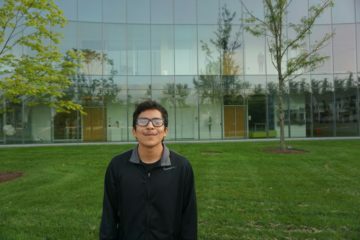 Photo by Ernesto Orozco.